His face always lights up when he’s talking about Sporting Gijón. His natural enthusiasm becomes more pronounced, his smile a bit wider. His eyes glint with an extra sparkle, or even two. This is what always happens when the Barça manager, Luis Enrique Martínez — a native of Gijón, Asturias — is discussing the team of his youth, the team for which he made his first division debut way back in 1989. So perhaps it was surprising that the bevy of journalists on hand in the press room at the Ciutat Esportiva eschewed the traditional queries about how it felt to be going up against his hometown team and childhood friend, the Sporting manager AbelardoFernández. 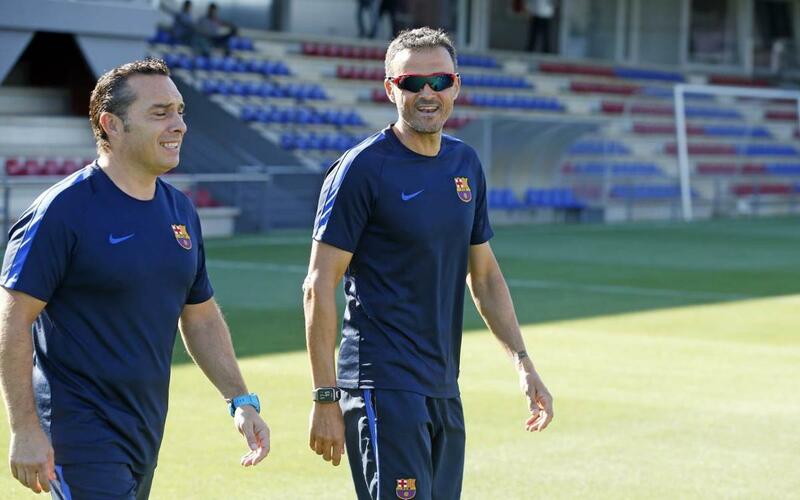 Instead, multiple questions centred on how Luis Enrique would adjust Barça’s tactics without the injured Lionel Messi. But if anyone thought he would spill the beans to his old team and lifelong pal in the build-up to Saturday’s Week 6 La Liga meeting, they’d be dead wrong. He did, however, offer them words of praise. “It will be as tough as any game we play away from home,” he said. In lieu of any hints about how the team would line-up with without Messi, Luis Enrique instead furnished his personal viewpoint on life without the Argentine star. Despite the coach's confident reply, there was one caveat.